With it's medieval streets, twinned with cracking pubs and fantastic live music venues, Kilkenny has never lost its popularity as a hen and stag location. It's got our vote. 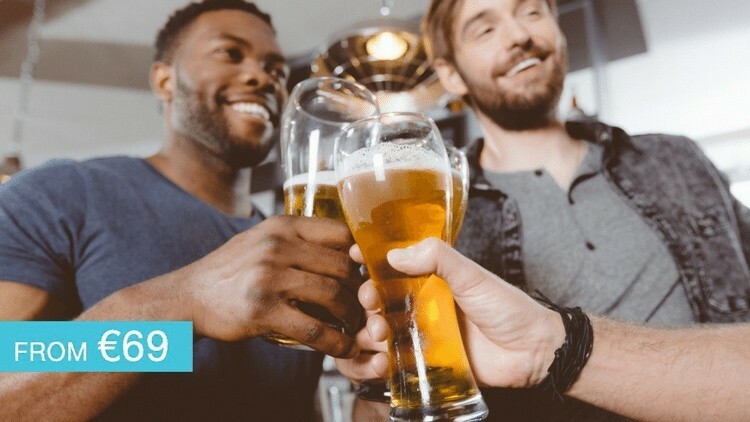 Kilkenny is still one of our most popular stag packages, and with good reason... Firstly, we have town centre accommodation lined up for your stag which means everything is in walking distance. 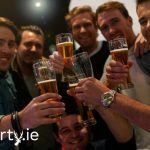 So, choose from any of the activities we have lined up for your group, with some of Kilkenny's top businesses: Paintball: So, for an adrenaline pumping and fun activity for your Stag. It's gotta be Paintball. Karting: This is a fast paced and enjoy a podium presentation for the winner! Clay Pigeon Shooting: What man doesn't want to point a gun and shoot.... Archery & Target Shooting: Enjoy an archery session followed by target practise with big guns.... Afternoon of Sports: a relaxing afternoon of sports can be enjoyed on big screens! Whiskey Tasting Session: this is a different and fun activity to try for your stag! River Adventures: looking for something outdoors? Then this is the activity for you. Bubble Soccer: For a fun way to play soccer! A great laugh with the lads! Laser Combat: Have a blast with some Laser Combat with the lads! So, no bruises for the big day with this activity! Brewery Tour: Visit the brewing house to learn how it's made and the tasting room to sample! Pitch & Putt: Great stag activity option for getting outdoors without using too much energy. Tree Top Walk: Fancy yourself a bit of an adrenaline lover? This is the perfect activity for you! Fishing: Nice chilled afternoon activity for lads that love to fish. Airsoft Shooting Range: Something different for your stag party! Hurling: Learn more about this fantastic game while playing! The Cube: A new and fun game which requires skill and precision. Just like the TV show. Segway Polo: No horses, two teams trying to score against each other. Warm up with a game of Segway Frisbee and Segway Nerf gun battle beforehand. Footgolf: A brilliant mix of football and golf! Food is in one of Kilkenny's top bars with a reserved area. Followed by a round of shots after dinner for your group. Great craic, music, hens and atmosphere in this hopping pub! So, finish the night with entry into Kilkenny's top nightclub. And when we say top club, we mean top club! Finally, contact us today for more information!